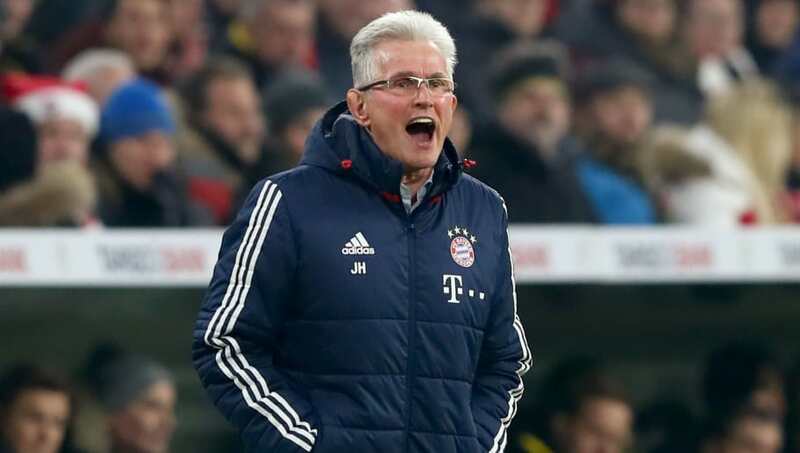 Bayern Munich manager Jupp Heynckes is rueing his side's missed chances in their clash with Borussia Dortmund on Wednesday despite progressing to the quarter-finals of the DFB-Pokal. The hosts missed a number of chances before Jérôme Boateng's opener, with Thomas Müller doubling Bayern's lead before half-time. Andriy Yarmolenko was able to pull one goal back for ​Borussia Dortmund but Heynckes' side held out to progress to the quarter-finals. ​​"Taken altogether it was a highly deserved victory," Heynckes said, as quoted by the Bayern Munich website. "We could have settled the issue calmly had Thomas Müller made it three. We had to invest an incredible lot in the first half, we had run a lot. If you run so hard you have to make it count. "We failed to do it, so we were under pressure against a good team in the closing stages, and we certainly had a bit of luck. At the moment our weakness is that we don't take our chances." ​Bayern's match-winner also offered his thoughts following their victory on Wednesday, with Müller admitting that the hosts took a "step back" after taking a comfortable two-goal lead. "I'm unhappy with the second half, we were too passive then," he said. "But it's not easy psychologically when you're two goals up. You tend to take a step back then. We allowed Dortmund to attack and almost conceded the equaliser."